The City council of Westminster Maryland unanimously voted to stop operating all but one of it's red light cameras, according to an article in the Carroll County Times. The move came after a recommendation by Westminster Police Chhief Jeffrey Spaulding. "Spaulding recommended the cameras be deactivated at the intersection because there were more serious crashes caused by rear-end collisions than were attributable to vehicles running red lights. The cost to run the cameras also factored into the decision." the article states. 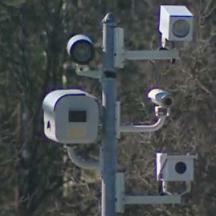 The two cameras were located at the eastbound and westbound Md. 140 and Md. 97. In the two years the cameras were up, the locations saw 11 serious crashes and 35 fender benders. “These cameras were not in a break-even mode. They were literally costing the city taxpayers money," Chief Spaulding was quoted by channel 13 WJZ Baltimore. The red light cameras require approximately two violations each per day for the city to break even. Westminster continues to operate one red light camera, located at southbound Md. 97 and Nursery Road "because there has been an increase of 29.6 percent in the amount of vehicles running red lights at the intersection", according to the Carroll County Times.